The importance placed on high-quality organization, staff, equipment and services to a small group of trekkers. 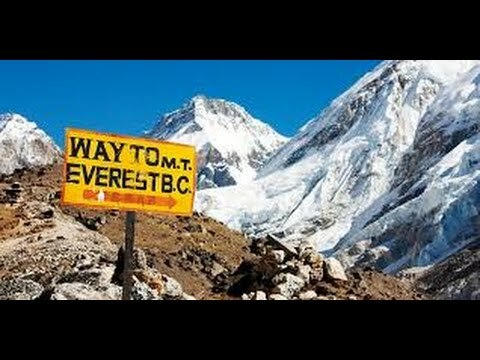 The popularity of the Everest Region has not stopped growing since the first conquest of the Top of the World in May of 1953. Mount Everest, known as Sagarmatha to the Nepalese, Chomolungma, and local Sherpa communities, became Nepal’s first and most famous trekking destination. The region is famous for good reason – some of the most spectacular mountain scenery in the world combined with the outstanding friendliness and hospitality of the Sherpa people to offer visitors the experience of a lifetime. WILD YAK EXPEDITIONS has used his profound knowledge of the Everest Region to plan its original route. In addition, it shows off the very best of the Khumbu valley. This Everest Trek begins with the cultural sightseeing of Kathmandu’s UNESCO Heritage sites and other cultural gems. After that we enjoy an another unforgettable domestic flight with breathtaking views to the Tenzing-Hillary Lukla Airstrip. After reaching the heart of Khumbu “Namche Bazar”, often called the gateway to Everest, our way continues to Tengboche. Further more, here you can admire the old renowned Tibetan Buddhist Gompa (World Heritage Monastery). Through a forest of Juniper, Fir, and Rhododendron our route takes us to the highland settlements of the Sherpa people in the middle of yak herds and typical vegetation. Our route carries on to a first high Himalayan pass, the Kongma La at 5447 meters, that gives you the feeling of touching the clouds surrounded by a stunning panorama. We then continue to the belvedere of Kala Pathar at 5550 meters, above Everest Base Camp. The second pass, Cho La at 5420 meters, brings us to the beautiful turquoises glacial lakes of Gokyo valley. More over we see impressive view of some Himalayan giants . Trekking in the outdoors especially in the Himalaya provides some health benefits ranging from physical to mental to spiritual. Furthermore, it is also the best place where we have enough time to discover oneself and rejuvenate our life. Beside personal benefits, it contributes to helping the local economy. Additionally in 2015, a terrible Earthquake destroyed many parts of Nepal. Finally, WILD YAK EXPEDITIONS Team welcomes you in the Himalaya. We commit to organizing small groups with high-quality services that are essential for flexibility, contentment, good ambiance and precious exchanges of cultures and knowledge with our local Guides. I had been to Nepal before, had very fond memories of a magical place and I was hesitant to go back after 10 years and be slightly disappointed. Wild Yak Expeditions made sure this was not the case. From the second I landed in Nepal to the second I departed everything was properly and timely taken care of, people were always incredibly nice and adapted to my every wish with flexibility and great demeanour. Nepal is a fabulous country but having a local person help me organize my trip made my experience so much more pleasant. The guides were extremely helpful, well informed and nice to spend time with. Andrea and Norbu were personally in touch and you could immediately see how much they care for their clients which seemed more like being a guest. They also have a profound love for the land which makes it so much more special, their passion is absolutely contagious. I can’t wait to go back, and it will most certainly be with Wild Yak Expeditions… no doubt! The success of this Journey depends on both the personal status of each participant and the experience of our Team. WILD YAK EXPEDITIONS' team carefully selected according to their expertise in the particular environment and individual aptitudes. Our Team is thus highly experienced, skilled, trained, courteous and supportive. Our Trekking Guide and his role: WILD YAK EXPEDITIONS' Trekking Guide is a professional government-trained guide with experience in directing and trekking around the Himalaya, including first aid training and in-depth knowledge of the local flora, fauna and general environment preservation. Our Guide leads you all the way through the trekking and across the passes while giving you interesting information about the mountains, culture, traditions and landscapes. He will help as an interpreter with the local populations. He is ensuring your safety and is checking your needs throughout the trail, and to the top of the pass, monitoring symptoms of high altitude sickness. Our Guide plays a vital role in taking care of our members' needs, supervising the team and porters, and assuring the safety requirements. He also makes sure that the rubbish managed, and the trail/campsite is kept clean throughout the whole trekking trip. WILD YAK EXPEDITIONS will frequently be informed about the Group during the entire trekking experience. Our Assistant Guide: Our Assistant Guide also has a government license but must work as an assistant guide during some time to become a company approved Guide. He assists the Guide with all the essential duties, ensuring the safety and checking that the performance of the Group runs smoothly. He is equipped with an emergency first aid kit and walks along with the members to monitor the Group. Kathmandu: We stay at high standard Hotels on a sharing basis, including breakfasts. Depending on availability, single rooms can be booked upon request at an additional cost. All dinners are served in excellent restaurants in town where you can enjoy various types of cuisine, from the typical Nepali, Thai, and even steaks and Italian meals. Each restaurant has been screen by WILD YAK EXPEDITIONS representatives to ensure that it is of suitable quality for our guests. Many lodges serve a variety of cuisines such as continental, Indian, Tibetan and local cooking. Please note that the beverages are on each participant's charge, except coffee and the selection of teas that served for breakfast and in the afternoons upon your arrival, as well as some special snacks provided by WILD YAK EXPEDITIONS. Lunch packages are also available some specific days. All transportations in Kathmandu are by private vehicles. Flight to Lukla and back, by two-engine Otter Aeroplane. Everest-Gokyo paths are broad and well maintained as compared to other parts of Himalayan trekking trails. While we are in trekking, our day starts with a warm wake up tea/coffee. After refreshing ourselves, we pack our luggage and proceed for the breakfast. As day sets off, considering the altitude and acclimatization, we walk slowly towards our next destination making frequent rest breaks to take photographs, treasure the landscape, confront the culture and admire the fascinating mountains sceneries. A 1 to 2 hours relaxing lunch break is taken, except when crossing the passes. After the lunch break, we will at least spend 2 to 3 hours more on the trail before reaching the next lodge where you will be welcomed by some warm hot tea/coffee and cookies/biscuits. Our trained Guide will accompany the Group during the whole day. Before dinner, we might enjoy a short walk through the village, photographing or chat with other group members or exceptional staff. After dinner, you will be briefed on the next day program. Our is equipped with communication means, only to use in emergencies. WILD YAK EXPEDITIONS also works with the national rescue helicopter airlines. To minimize risks, in particular during the crossing of the higher passes, weather forecasts are provided to the Guide on a regular basis. Please note that the above-mentioned itinerary information is purely indicative and can likely modify during the trekking by your Guide, who has the authority to make such changes if it is deemed necessary (due to safety concerns, etc.). Every effort will be made to keep to the scheduled itinerary. However, as this is an adventure travel in remote mountain regions and at high altitude, we are not able to fully guarantee it as it is necessary to take into consideration each situation as it occurs and consequently to adapt the program in its best way. Elements such as weather conditions, health conditions of a group member, unexpected natural disasters, among others, can all contribute to changes in the scheduled itinerary. The Guide will try to ensure that the Trekking runs according to the foreseen plan to the benefit of all the participants, but we thank you for being prepared to some flexibility and comprehension if so required. Please check the degrees of difficulty while choosing a Trekking with WILD YAK EXPEDITIONS. The majority of the itineraries proposed in our Trekking Programs are in remote areas of the Himalaya and at high altitude, mostly higher than the Alps. A good physical condition is necessary to appreciate the whole richness of this adventure. Before you embark for your Everest 3-Tops Trekking, WILD YAK EXPEDITIONS recommends a regular aerobic exercise including some stretching exercises for a couple of hours per week. Ideally, you should concentrate on cardiovascular fitness, building an excellent stamina and undertake a bit of strength training to be more efficient in the mountains. It is worth to go for at least once a week for a 3 to 4-hour hike, which familiarizes already your body to sustain the long-time effort in the Himalaya. The fitter you are, the faster and more easily you will get the trail, acclimatize and enjoy the trekking days.